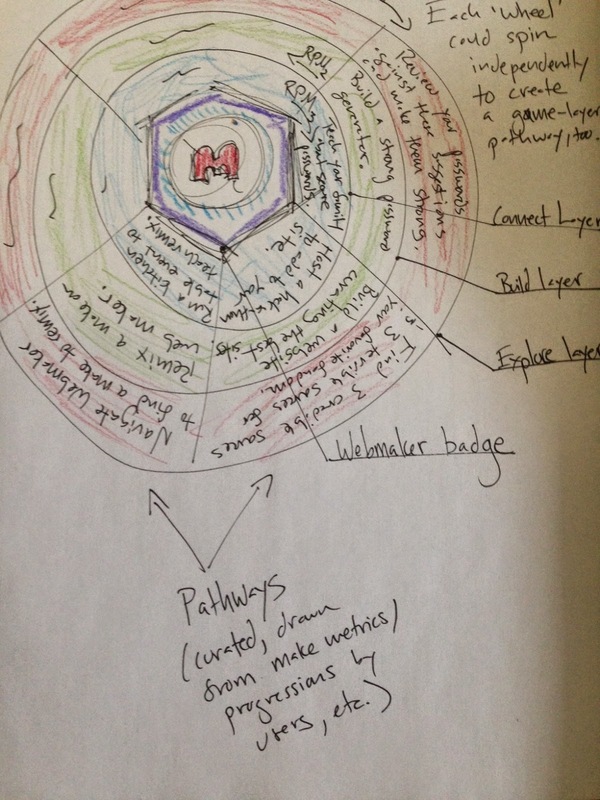 This week’s Web Literacy Map community call was fascinating. They’re usually pretty interesting, but today’s was particularly good. I’m always humbled by the brainpower that comes together and concentrates on something I spend a good chunk of my life thinking about! I’ll post an overview of the entire call in on the Web Literacy blog tomorrow but I wanted to just quickly zoom out and focus on things that Marc Lesser and Jess Klein were discussing during the call. 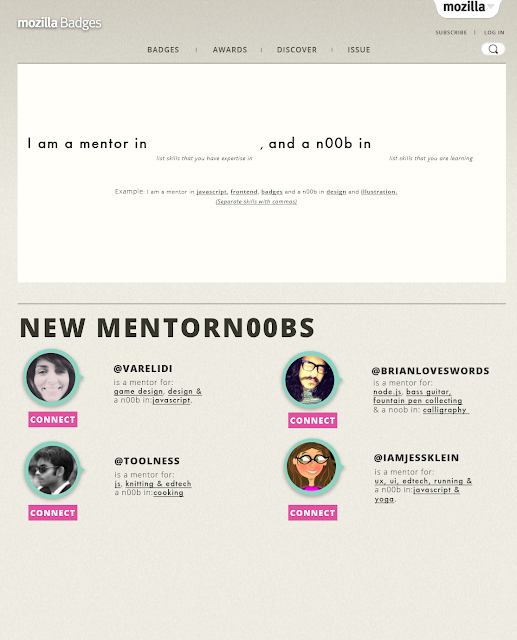 Others mentioned really useful stuff too, but I don’t want to turn this into an epic post! The important thing here is that we – Mozilla and the community – are creating a map of the territory. There may be others and we don’t pretend we’re not making judgements. We hope it’s “useful in the way of belief” (as William James would put it) but realise that there are other ways to understand and represent the skills and competencies required to read, write and participate on the Web. Given that we were gently chastised at the LRA conference for having an outdated approach to representing literacies, we should probably think more about this. Meanwhile, Jess, was talking about the Web Literacy Map as an ‘API’ upon which other things could be built. I reminded her of the WebLitMapper, a prototype I suggested and Atul Varma built last year. 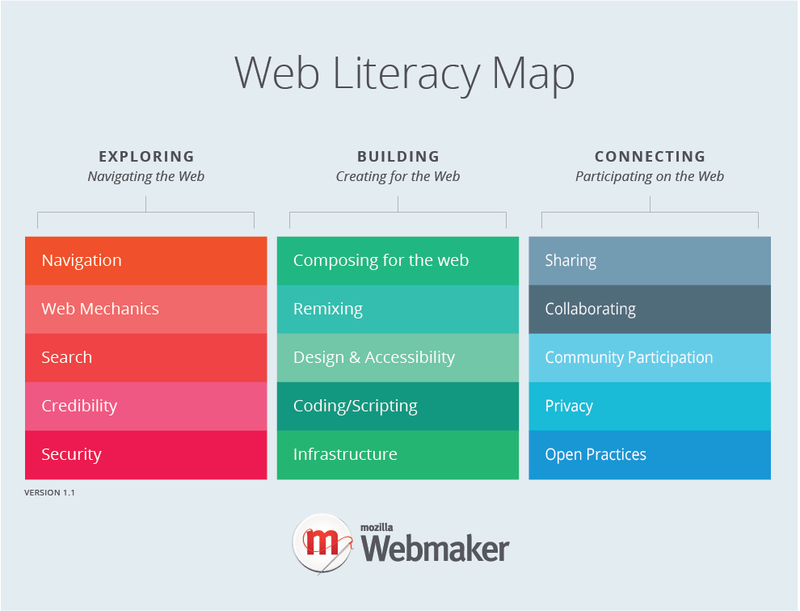 The WebLitMapper allows users to tag resources they find around the web using competencies from the Web Literacy Map. Capturing the complexity of literacy skill acquisition and development is particularly difficult given the constraints of two dimensions. It doubly-difficult if the representation has to be static. However, this decision doesn’t prevent us from exploring other avenues combining learning pathways, badges, and alternative ways to representing the overall skill/competency ecosystem. Perhaps diy.org/skills can teach us a thing or two?